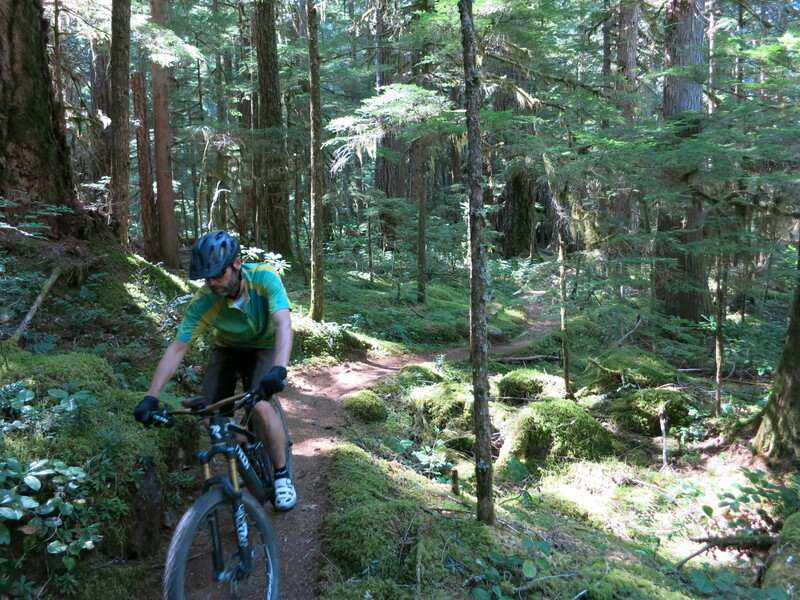 The McKenzie River Trail is usually found at the top in the rankings of the best MTB trails. For good reason. It is a 40 km (25 miles) singletrack trail following a roaring mountain stream through pristine nature across lava flows and lush old grown forest. Ideally, it is done as a shuttle ride. It was my 4th time that I did the MRT and it was still a fascinating experience. At the beginning I stayed on the western side of Clear Lake. The trail there is much smoother than the lava rock strewn trail on the eastern side. 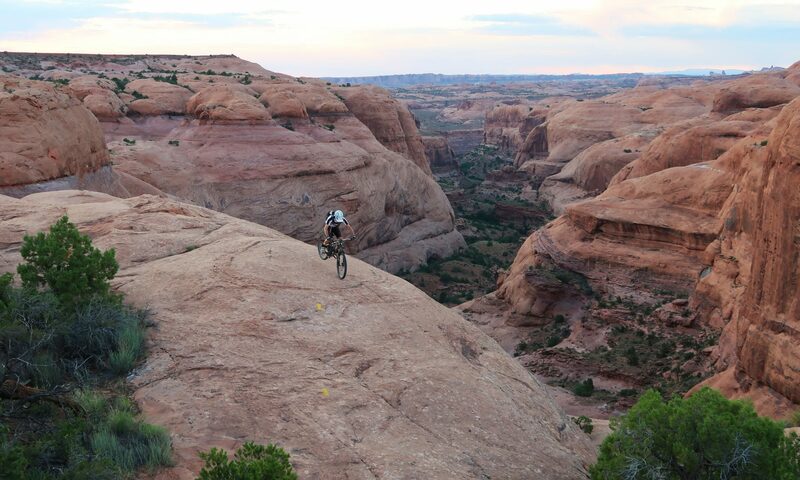 I wanted to avoid flat tires from the sharp rocks and save some energy, as I knew from my previous rides that it is challenging to keep up the concentration level for the whole distance. The MRT requires precise steering to manoeuver around the lava rocks and the big roots of giant trees. The first half is technically more demanding, particularly in the old lava flow areas and in the proximity of the waterfalls. The McKenzie River suddenly disappears for quite a while and continues subterranean in lava tubes. After all that river roaring I found the silence amazing. Even more amazing is the azure-blue pool where the water reappears. Where is the trailhead for this? You will find the MRT trailhead when you follow Hwy 126 from the Santiam Hwy (#20) junction for about 4 miles. There is a brown McKenzie River Trailhead sign on the left. This about half a mile north of Clear Lake. Have fun.